In this study, the failure analysis of composite plates repaired with adhesive patch was investigated experimentally and numerically. The failure analysis consisted of two steps: In the first step, the damaged composite plates used in previous studies were repaired with epoxy-based adhesive and patch. In the second step, the repaired composite plates were loaded with pin and the failure analysis was realized. The four-layered unidirectional carbon/epoxy composite plates were used as composite and patch materials. The layer configuration of the composites was selected as [0°/θ°]s and [0°/θ°]2. The numerical study was carried out in ANSYS by using three-dimensional progressive failure codes. As a result of the studies, the failure loads of repaired composite plates were compared with the un-damaged plates. It was determined that the failure loads of adhesively repaired composite plates increased between 238% and 514%. 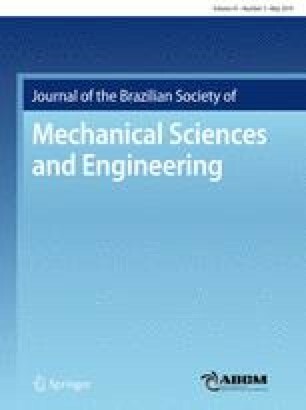 Technical Editor: Paulo de Tarso Rocha de Mendonça, Ph.D.